In my lifetime I have seen some pretty amazing things. A man landed on the moon, Olga Korbut scored the first perfect 10 in Olympic gymnastics history, and Bobby Ewing stepped out of the shower after a year long dream. But the most amazing thing that I saw this year happened on February 2nd. 700,000 people (that's alot of people) gathered on the streets of Seattle for a party celebrating our beloved Seahawks and their first Superbowl win. These 700,000 fans, and all of us who could not make it into Seattle on that day but who were there in spirit, are known as "The 12th Man". Jay Inslee, the Washington state Governor, declared 12:12 pm on February 2 "A Moment of Loudness". This was another nod to the 12th man and WOW - at 12:12 it got very loud in Seattle. According to the Seattle police there was not a single arrest during this wildly unprecedented event. It was peaceful, it was joyous, and it was loud. My friend Karin was there with her special needs daughter and reported that people were friendly and helpful even though the commute was packed and the streets were elbow to elbow people. Karin and her family are definitely a 12th Man family. Check out her Seahawks Game Day Sour Cream Enchilada recipe. It's worth shouting about. This phrase refers to fans being just as important to the team as all the players on the field. If you didn't know, there are 11 players out on the field for each team. The 12th man is the fans. When football teams come to Seattle they don't have to contend with the altitude or extreme weather. They have to contend with the 12th man. People in the Northwest go nuts for their team. Some people have painted their houses in Seahawk colors which is pretty wild because the colors are a very shocking blue and green. Pictures of babies and pets in their Seahawk garb can be found all over the Internet. There are so many fun ways that people celebrate being a 12th man that I have started a Pinterest board to show off some of these pictures (sometimes I can hardly believe it myself). The great thing about football is that we can all root for our favorite team AND still be friends. I have very good friends who cheer on the Denver Broncos (2nd runner ups to the last Super Bowl winning Seahawks) and other friends who might cheer on other teams (not sure what those other teams are but they're out there). Another great thing about football is the food, the parties, and the ridiculous commercials. 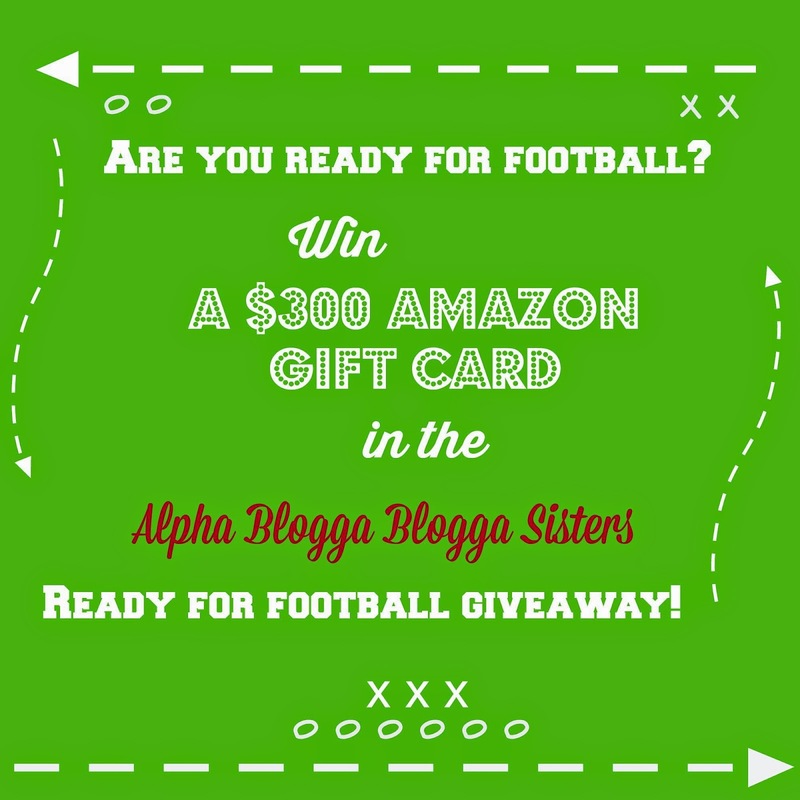 So, to celebrate the return of Football season a group of us have joined in harmonious rivalry and are offering a $300 giftcard to help a lucky winner celebrate with us. It's easy to enter and fun too. Check out all of the fun football inspired posts and then enter below. * I have contributed to this promotion. This is not a paid / sponsored post. The only thing I get out of this is the fun of sharing the excitement and enthusiasm for the 12th man. #GoHawks. The contest is open from Sunday 9/7 at 12 a.m. and ending Sunday 9/21 at 11:59 p.m. for residents of the US and Canada, 18+ yrs of age. Throwin' down some knowledge here! Today I learned. Yes I am ready for some football! What an awesome celebration! I am hoping that the AZ Cardinals have their turn for a Super Bowl parade this year!